What is a Digital Processing Crossover Network? Most loudspeakers feature a crossover network inside the enclosure. Crossovers divide high and low frequencies using a high-pass filter (HPF) and a low-pass filter (LPF), directing frequency bands to the appropriate driver. The low frequencies, for example, are fed to woofers designed for bass, while the middle-high frequencies are directed to high-frequency tweeters. There are a few different ways to connect a receiver to your speakers for best performance. The most popular method uses a single plus-minus cable for each enclosure via a single pair of audio inputs. If your loudspeakers have two pairs of audio inputs, and your receiver is compatible, you can bi-wire your speakers using two cables for each enclosure. This allows the speaker crossover network to operate more efficiently. If your receiver and loudspeakers are compatible, you can also bi-wire and bi-amp your speakers by assigning amplifier channels to separately power the tweeters and woofers in each cabinet. 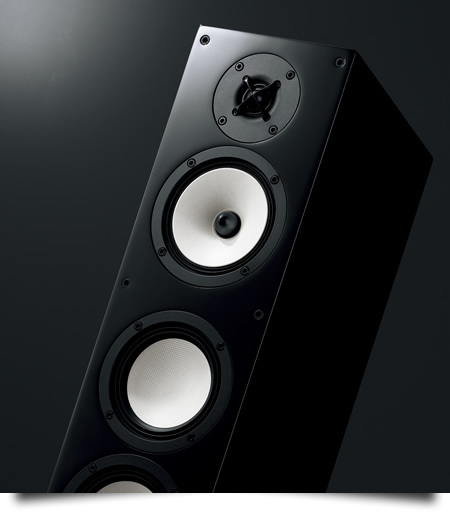 Sound quality can be improved depending on how you connect your speakers, opening the door to a richer listening experience. Bypassing the speaker crossover network altogether, however, can reward you with even greater performance gains. Some loudspeakers are able to accept signals from the receiver without passing them though a speaker crossover network. 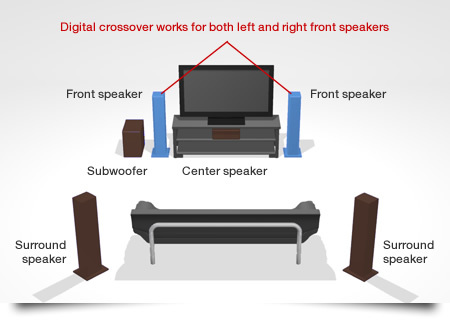 Because speaker crossovers are not employed, however, the frequency bands have to be split by a channel divider before being sent to the speakers. This system requires specialist analog equipment and remains prohibitively expensive. 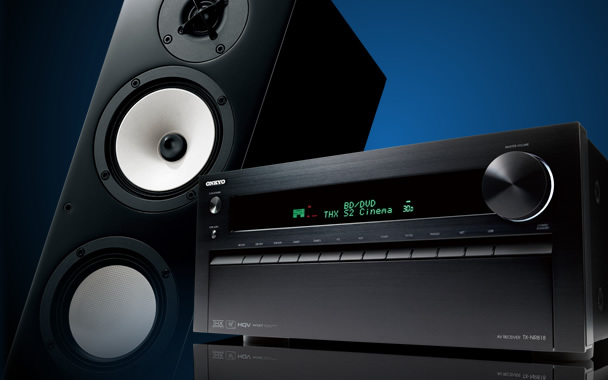 Onkyo has applied its formidable audio knowledge and solved the problem with its Digital Processing Crossover Network. It’s now possible to divide low and high/middle-high frequencies inside the receiver using sophisticated DSP (Digital Signal Processing) technology. The technology on board selected Onkyo network receivers allows the speakers to produce exceptionally pure and natural sound by directly supplying each driver with the appropriate frequency, instead of passing a combined signal though less precise speaker crossovers. In particular, the overlap zone between high and low frequencies is narrowed thanks to the sharp cutoff capability unique to DSP. This results in transparent sound reproduction from your front channels—which are not only important for music, but for movies as well. Copyright © 2012 Onkyo Corporation. All rights reserved.